Global sales of the LG V30 are on the rise. V30 and V30 Plus will be sold to major European countries including Italy, Germany, Spain and Poland by December of this year. Launching in emerging market is on the rise, so at the same time as launching major European countries, V30 will be launched in India as well on December 13th. The Global hit for V30 is hard to predict, but the market is giving a skeptical response. Why? Apart from the solid product strength, two following reasons will come back to haunt. LG Electronics with its low brand competitiveness, has launched ‘LG Signature Edition’ in South Korea to enhance its brand. Zirconium ceramics used in luxury watches with V30 Plus performance ‘Special Limited Edition’ price is over 2 million won. The industry is paying attention to whether LG’s efforts for global launch and brand enhancement will lead to visible earnings improvement. Xiaomi announced the introduction of the Redmi 5 and Redmi 5 Plus with 18: 9 display. The new Redmi 5 / 6 Plus have unparalleled designs with low specifications, but the most important advantage of these smartphones are the price. The model with the most expensive price is only $200 USD (Redmi 5 plus 64GB version), and it is said that it has remarkable price competitiveness. Although Xiaomi suffered from a decline in domestic market share due to sluggish sales on last year, they come up with market dominance with aggressive pricing and marketing strategies this time. Aside from the positive signals in the market, Xiaomi is increasingly questioning how long it will be able to maintain an amazing pricing policy with little margins left. Redmi 5 / 5 Plus have following specifications. Huawei is expected to add an additional smartphone factory in India. According to Huawei, In 2017, they has sold more than twice as many smartphone in 2016 in India. Although they did not disclose the exact figures, it seems that they are carrying out additional factory expansion due to the large growth they have determined. Apart from Huawei’s own assessment, Huawei’s market share in the Indian market is still quite low. Huawei is showing a sluggish market share behind Chinese makers Xiaomi, Oppo, and Vivo. Samsung Electronics has begun mass production of ‘512GB UFS (embedded memory / UFS, embedded Universal Flash Storage)’ for the first time in the world. Mass production of 512GB eUFS is meaningful because it newly defined the standard of high capacity memory for the smartphone. 512GB eUFS is able to process data at 8 times faster than a micro SD card, which is an external memory, and maintains the same memory size at increased capacity. Samsung is once again putting its technical edge on the table. 512GB eUFS’ is expected to be installed on the Galaxy S9. 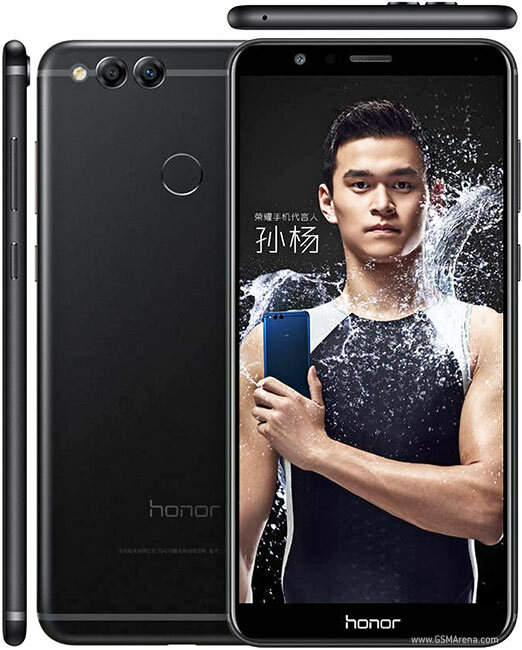 Huawei Honor 7X starts selling in United States, Russia and Europe, including France, Germany, United Kingdom, Italy, Germany, Poland. The price in US will be around $200 and the estimated shipping date is on December 15th. For Honor V10, the sale will begin on January 8th in United States, Europe (France, Germany, Italy, Spain), Malaysia and Russia. The price in US will be around $600.